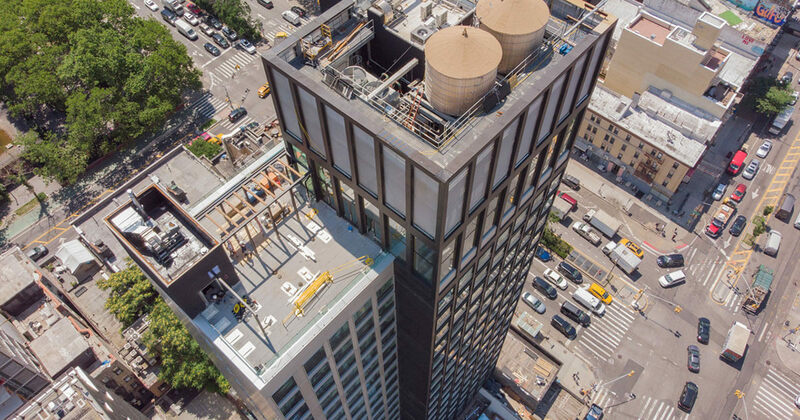 Offering unobstructed sweeping views of lower Manhattan and Brooklyn, the citizenM New York Bowery Hotel is a new addition to the evolving fabric of the vibrant Lower East Side. 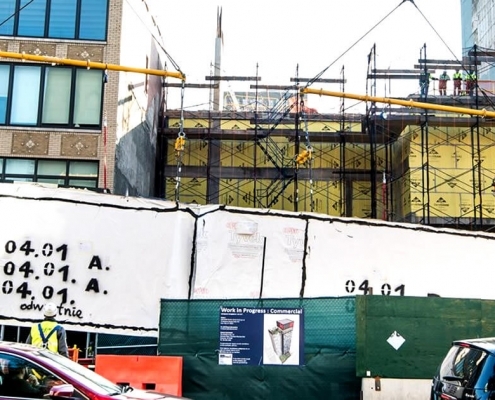 Known for its rich cultural heritage and vibrant art scene, the neighborhood was a direct source of inspiration with particular focus on the many surrounding galleries, contemporary street art, and other definitive new developments in the area. 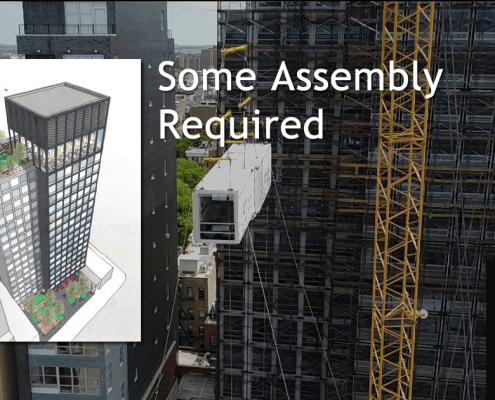 The 21-story, 300 guestroom building contains approximately 100,000 square feet, including 15 stories of modular hotel rooms, making it the tallest modular hotel in the United States. 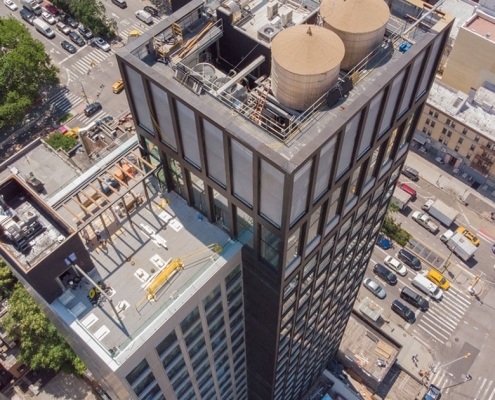 Amenity areas include cloudM a rooftop bar and lounge with both indoor and outdoor areas, canteenM, a ground-floor bistro-style lounge and coworking space, and a 4,000-square-foot plaza. The new hotel is also the official home to the Museum of Street Art, or MOSA. Curated by Jonathan Cohen and former members of the 5 Pointz creative team, a collection of murals and other installations occupy 21 stories of the hotel’s stairwell and include 20 artists. 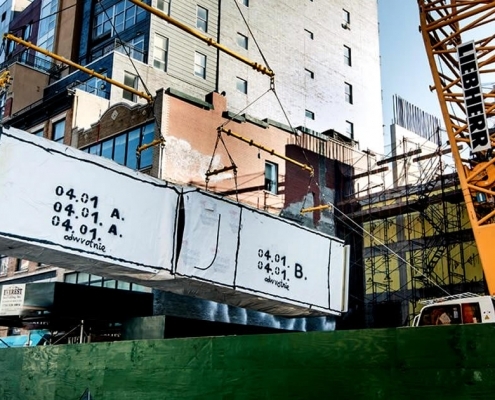 The typical hotel module consists of an approximately 8-foot-wide by 48-foot-long box which incorporates two hotel rooms and a central corridor. 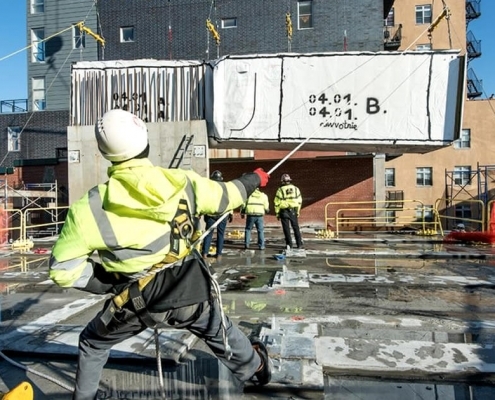 Each module was transported to the site with the façade attached, the interior room finishes completed, and wrapped in waterproofing to the keep the rooms dry during construction. 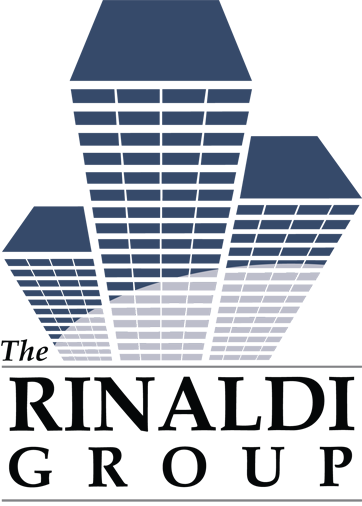 The modular construction also results in less construction waste as the interior fit-out was completed in a factory-controlled environment. As a short-stay affordable luxury destination, the hotel was designed to create a fully immersive experience through its authentic selection of artwork sourced almost exclusively by influential local artists and curators. 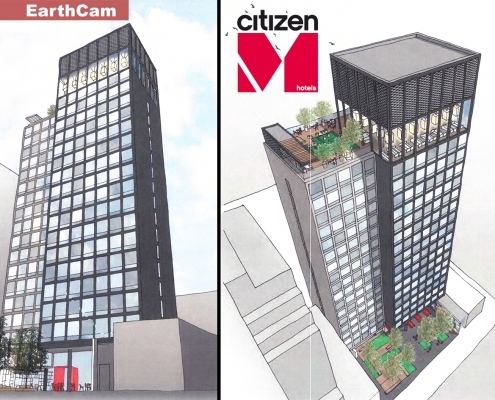 For the design and development community, the successful design and delivery of citizenM Bowery establishes the property as a gateway project for even more ambitious modular construction in densely populated urban areas, hospitality ventures, and tall structures in the New York metro area and beyond. 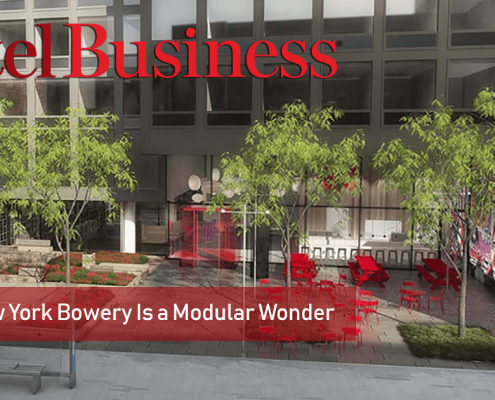 New York City’s tallest modular-constructed hotel is as much a work of art inside as it is outside but it is it’s innovative, modular construction that truly sets this downtown jewel apart. 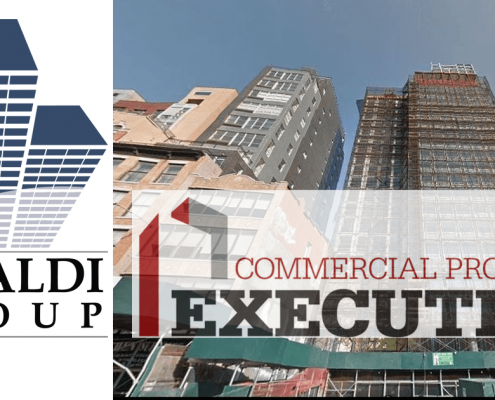 The Rinaldi Group is proud to have been chosen as the project’s general contractor and see the opening of New York City’s most exciting and unique boutique hotel. Behind the stylish interior and curated art installations is a new achievement in modern construction. A hotel built room by room in a factory and assembled in the narrow streets of New York City’s Bowery neighborhood. 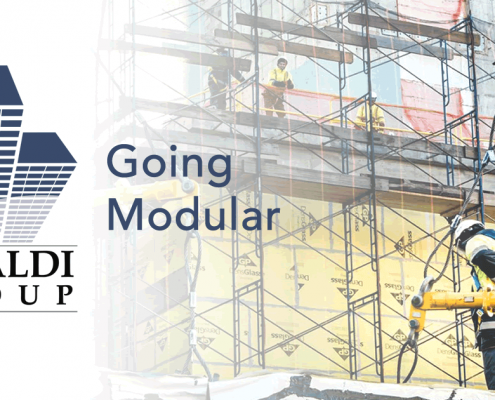 Modular construction methods can reduce a project’s completion time by as much as 50%, allowing companies, residents and guests to occupy the space far ahead of the typical building schedule. 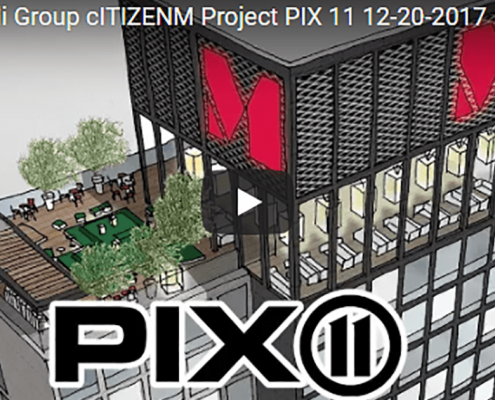 The Rinaldi Group congratulates the development team all who helped make the citizenM a success. 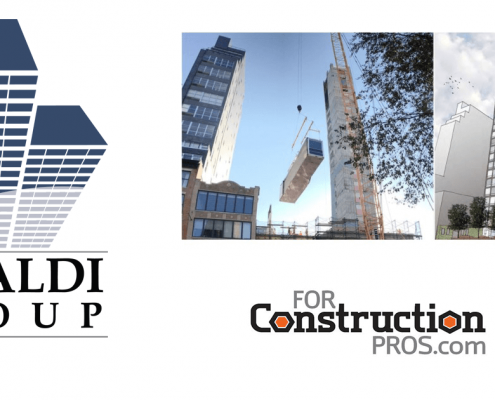 Rinaldi is working with a team of about 10 workers from Polcom Modular to install 210 modules built in Poland. 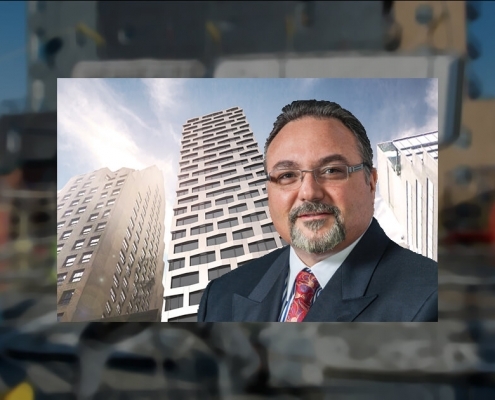 The modular installation, which began in late November, is expected to take about three to four months, compared with the six to nine months it would have taken to build that portion using traditional methods, said Anthony Rinaldi, chief executive of the Rinaldi Group.